The Makeblock Neuron Explorer Kit is rather impressive looking, arriving in a large and smart looking box. So it should, given its price tag of a somewhat eye-watering $200. It’s basically the deluxe/premium edition of the $120 priced Makeblock Neuron Inventor Kit which offers few sensors, and no cardboard templates. 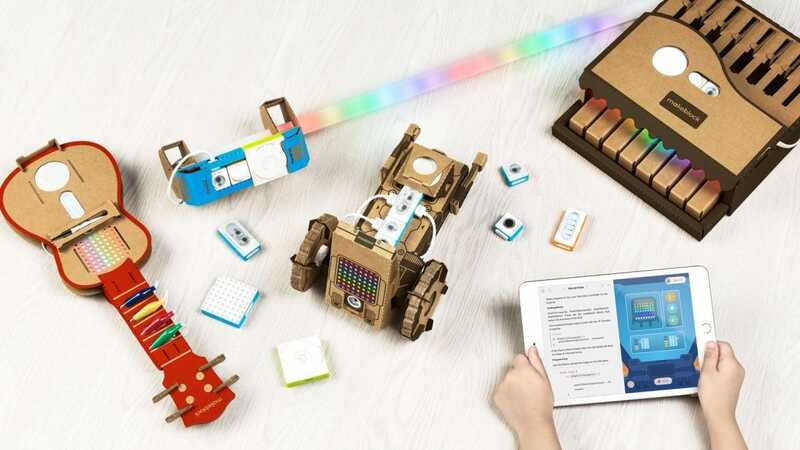 For $200, you get twelve of Makeblock’s Neuron electronic blocks (kind of like intelligent Lego and referred to by Makeblock as simply “e-blocks”), some related accessories like a LED strip, temperature probe, and some connectors, along with cardboard templates for the four projects you can construct. It’s all bundled in a way that’s similar to other premium products. Understandably so given it’s an Apple Store exclusive. Everything is labeled clearly and you can pull out separate components to evaluate everything. Granted, there’s still that sense that you’ve spent $200 on a fancy arts and crafts project but at least it’s going to wow your kids on the first impression. At least it did when I took it for a whirl with my 10-year-old cousin. There’s a lot to take in when you start pulling pieces out of the Explorer Kit. As an adult getting things prepped to show off to a young relative, I felt a little overwhelmed and I didn’t blame them when they looked baffled. Thankfully, each block is lined up for you to see easily and they’re labeled too. You have a Smart Power block, Funny Touch, Ranging Sensor, Light Sensor, Knob, Temperature Sensor, LED Panel, LED Strip Driver, Dual DC Motor Driver, Buzzer, and two DC Motors. Fortunately, you don’t need all of these parts for every project. There are also plenty of options as to how you want to start interacting. You can download the Swift Playgrounds app for your iPad, the mBlock 5 desktop software for your PC or Mac, or you can opt for the Neuron app on your iPhone. Essentially, the Neuron app is the simplest of the bunch and the solution I went for at first. It’s straight forward and quick to get to grips with. Besides teaching you how to construct the gadgets from the cardboard, it also has some basic programming functionality thrown in. This is ideal for younger users (and their newbie parents). Alternatively, mBlock 5 is perfect for the coder in the family. It’s a lot more detailed, and you’re able to switch over to Python here if you want. It’s far more advanced but it does require you to hand over your PC or Mac to your kid for a little while, which might not be as convenient as the iPad or iPhone solution. Swift Playgrounds? That’s the middle ground choice. It’s dependable and offers some other options as it’s primarily an Apple app with third-party support (i.e. 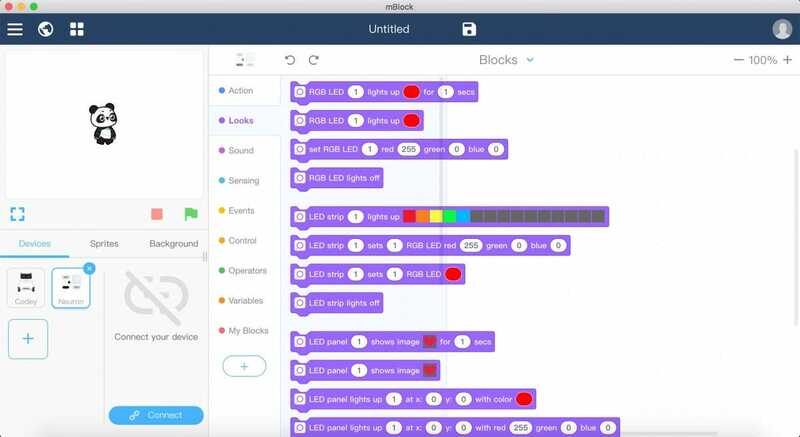 Makeblock) but not everyone is going to own an iPad. Whatever you pick for the long term, you need the Neuron app to have a clue how to build the projects. Fortunately, it immediately presents you with pictures of each of the projects you can assemble via the kit. Stars are presented above them to presumably show you how difficult they are to assemble. Unlike with Nintendo Labo, there’s no indication as to how long each project will take and honestly? That feels like a missed opportunity. It would be useful to know how long to commit to a project, especially if you know you’re short on time. Starting out, I went with the LED sword (a lightsaber, in other words) as it looked the simplest project to start with. I was right as it only took about 30 minutes to put together, although it didn’t go quite as smoothly as hoped. The Neuron app guides you through the build process. 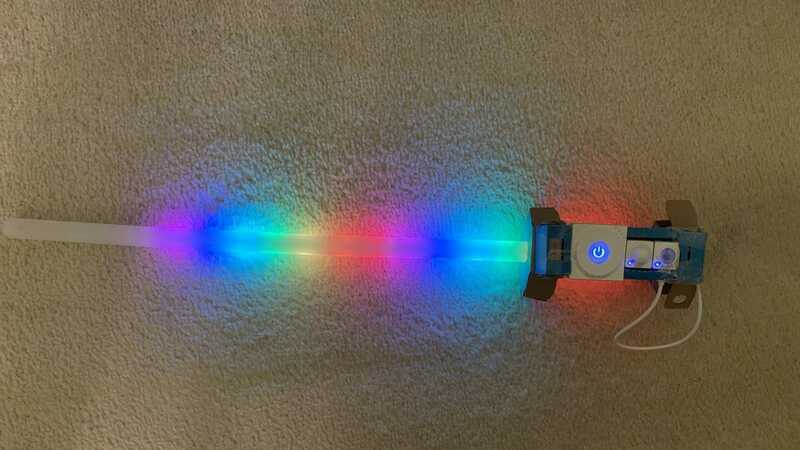 A few simple steps are all that lies between you and a LED sword, in theory. It all reminded me of a British TV show called Blue Peter, which had kids making all sorts of impressive (and not so impressive) toys out of random trash lying around the house. The handle of my LED sword is a lot like that. It involved folding in bits of cardboard so that it somehow goes from flat piece of card into a kind of competent handle. The handle then has the e-blocks placed within them fairly snugly, so that the plastic part of the sword (and LED strip) actually do something when you command it to. Problems lie in the fact that it’s a lot like putting together IKEA furniture. The instructions mostly make sense but then you’re still left with a random “but now what do I do? !” moment, or a time when something just won’t slot in how you want it to. That’s where I found some adhesive tape really came in handy. It made up for moments where the cardboard wasn’t quite as secure as it should have been. It’s a bit frustrating putting the cardboard together. Much of that is going to be down to how good you are at following flatpack furniture instructions and your general ability when it comes to arts and crafts projects. This is meant to be for age 6 and above though, and I can’t see any child of that age having the patience to do most of what’s required here. Instead, this is very much a project for you to do alongside your kid, rather than something you can leave them to do unattended. On the plus side, where things work very smoothly is when it comes to slotting together the Neuron e-blocks. Each of them is magnetic so they hook up really well and there’s a satisfying little clunk as they do. Also satisfying is when you’ve finally hooked everything up and your LED sword is complete. It’s a good feeling, and the results look quite good (once you use some tape to fix some iffy bits). From there, you can use Bluetooth and the Neuron app to make some adjustments to the coding and design. The Neuron app has some pre-built ideas but you can tweak a lot of functions too. The knob that the LED sword requires also enables you to boost the light along the plastic tubes too. The sense of satisfaction at the end is what’s going to keep you returning to crafting here. The difficulty curve ramps up a fair bit after the sword. The car, piano, and ukulele all require a fair bit more effort to figure out. Crucially, that’s also where the instructions lack some vital detail. For instance, while negotiating the ukulele instructions, I was soundly baffled by one section and mostly had to bluff my way around it. By that point, my cousin had lost interest because they just wanted to program something. I get that. She’d watched and struggled alongside me as we figured out what was required when constructing the ukulele (the LED sword was all mine, such is my lust for a lightsaber!) and hey, she’s 10. You want everything available to you on a plate at that age, right? Also, again, time estimates really would be helpful when working away. There’s also the issue that you only get one of each block and things like the Smart Power block are needed for everything. Because of this, you can’t have more than one project working at any one time. This is a kit very much designed for one child alone, not for splitting between siblings. Of course, most people aren’t considering this kit because of the cardboard side of things. They’re buying it because they want their kids to learn to code. The Neuron e-blocks here are pretty powerful. Including a variety of sensors is a great move when it comes to flexibility. You don’t have to hook it up to a physical gadget if you don’t want to. You can just work on creating circuits first. The software—whether you use the desktop mBlock solution or the iPad app—is simple yet powerful, utilizing a drag and drop method, so that kids can easily see what they’re doing. With everything color-coded, it’s plain to see what needs to be done in what order. There can also be instant feedback which is sure to inspire kids (my cousin included) to learn more. 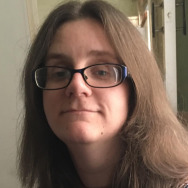 It’s based on Scratch 3.0 so underneath the surface, there are useful principles at play here too, and you can always switch to text-based programming in Python if you want. 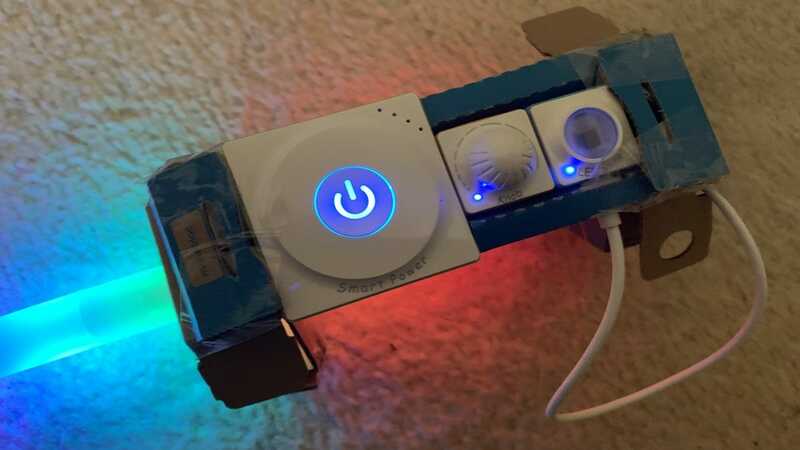 The Neuron modules can be used for quite a few complex applications so it certainly grows with your kid’s ability, and there are options for buying more too. For instance, you could assemble a DC motor then hook it up to some Lego, opening up a world of creativity. Being able to accomplish something with iPhone, iPad or PC is useful too, as it means you’re never tied into one sole device to program. Although, obviously, different apps have different strengths with the Neuron app feeling like the most natural fit for most skillsets. I’m conflicted with the Makeblock Neuron Explorer Kit. It is a very neat idea. By requiring kids to craft objects together themselves before programming them, it gives them a sense of ownership. However, the focus on cardboard assembly may put off those who aren’t keen on crafts, as well as some younger children who lack the dexterity to slot the cardboard pieces together (as well as clumsy adults, like me!). The instructions aren’t quite as clear as they could be which is a big issue for anything aimed at kids. Plus, well, it does mean you’ve paid out quite a bit for some cardboard templates as the Makeblock Neuron Inventor Kit weighs in at $120, albeit with fewer sensors. For many people keen to invest in Makeblock, the Inventor Kit will do more than enough for them. That’s before you consider competitors that are lower priced. There’s also the fact that the Makeblock Neuron Explorer Kit takes up a lot of room. Once assembled, you can’t easily flatten the cardboard down again and then what do you do with it? It has the air of a project that you’ll want to eventually dispose of (while keeping the electrical components) but who wants to admit that given how much it costs? That sounds like a lot of negatives for something I enjoyed. It is satisfying and my cousin enjoyed coding with the e-blocks (but not the cardboard side of things), but it’s so expensive. 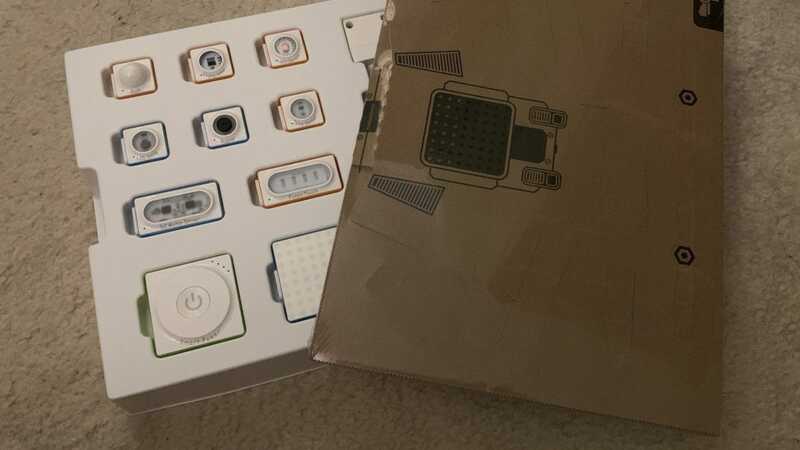 I can see many families tossing aside the cardboard components once the novelty wears off, and sticking with the sensors and e-blocks. A wise move really, but if you’re likely to do that then stick with the Makeblock Neuron Inventor Kit, a cheaper alternative, or even something outside of the Makeblock ecosystem like the Snap Circuits Pro kit that’s considerably lower in price. Whatever you go with, anticipate that your kid is going to need to be quite patient during the early stages.